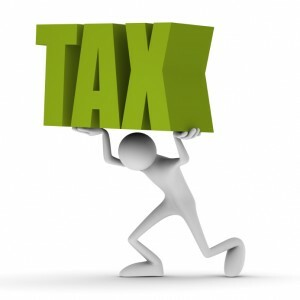 There are numerous financial considerations when it comes to taxes. If you would rather not sell your home prior to retirement, there is always the option of considering whether you prefer to leave it in the hands of an heir. You can also leave other assets – such as bonds, stock, mutual funds, and annuities. However, there are many tax consequences that you need to think about carefully when weighing your options. Look into the tax rates and decide whether or not you have the financial funding to take such a large hit before making the decision. If your estate is essentially below the federal estate gift and estate tax exemption – which is typically $5.45 million for 2016 – you can avoid capital gains tax on the appreciation. So, for example, if you bought a house for $100,000, and the value has made it go up to $500,000, your heirs’ tax basis on the house will typically be the difference between the value on the that you die as well as the sales price. An example of something that you shouldn’t do when it comes to assets it pass on depreciated security to your heirs. If you purchased a stock for $40,000 and it depreciates to $28,000, there’s essentially a $12,000 capital loss deduction. Once you die holding onto that loss, it is no longer an option. But, remember that tax consequences do vary, so it’s important that you consult with a financial planner in order to proceed in a financially smart manner. Kuba Jewgieniew is the head of Realty ONE Group, a real estate brokerage firm with offices in California, Nevada, and Arizona.